With the growing interest in low carbohydrate diets, the word “keto” has seen an exponential spike in Google searches over the past year (1). There are many misconceptions surrounding keto—mainly that it’s a natural, metabolic process. Each individual has ketones in their blood. Certain diet and lifestyle practices can make your ketone levels go up or down. Below, you’ll learn exactly what ketones are, how they affect your overall health, and how to test your ketone levels. Ketones are chemicals made by the liver. Everyone has ketones in their blood—no matter how many carbs you do (or do not) consume (2). Blood glucose (also called blood sugar) is your body’s preferred energy source. When you eat food, the pancreas releases insulin. Insulin enters the bloodstream, ensuring glucose gets transported to the cells for energy (3). What does this have to do with ketones? When glucose is not readily available, your body will start burning ketones—rather than glucose—for energy (2). This is the metabolic state known as ketosis. What Are the Different Types of Ketones? There are three different types of ketones in your body. The two main ketone bodies are beta-hydroxybutyrate and acetoacetate. Acetone is the third, most scarce acetone in your body (2). 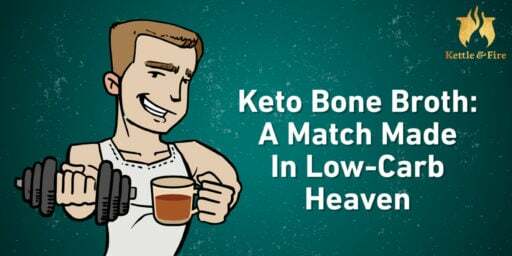 Beta-hydroxybutyrate (BHB): BHB is the most common keto body found in the blood. BHB makes up nearly 78% of the total ketone bodies in your bloodstream (4). Acetoacetate (AcAc): AcAc is the second most prevalent ketone in your blood, making up about 20% of total ketones (4). Acetone: Acetone is the simplest and most scarce ketone body, making up only 2% of total ketones. It’s created as a side product of acetoacetate (4). How Are Ketone Bodies Formed? Ketogenesis is the metabolic process that creates ketone bodies. 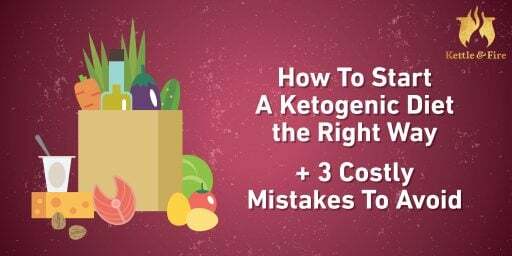 Ketogenesis is constantly happening—no matter your diet, your body is always producing small amounts of ketone bodies (5). Insulin helps regulate ketone production. Fatty acids are transformed into ketones in the liver. First, the fatty acids are transformed into the acetoacetate. Acetoacetate, in turn, can turn into either beta-hydroxybutyrate or acetone. Acetoacetate and beta-hydroxybutyrate are the two main ketone bodies used for energy (5). When glucose reserves (glycogen) is completely used up (or there’s a surplus of fatty acids), the body turns to fat metabolism to meet its energy needs—the process known as ketosis. This signals the liver to start producing even more ketone bodies for energy (6). This is usually caused by going on an extremely low carb diet (like the keto diet), after exercise, or through intermittent fasting. Ketosis—the process of using ketones as an alternative fuel source—has been linked to a wide variety of health benefits. This is what made the keto diet (dramatically reducing carbohydrates to force your body into switching from burning glucose to burning ketones) so popular. Ketosis helps individuals lose weight, improve blood sugar levels, and even improve neurological conditions. The idea behind the keto diet is burning fat cells (rather than sugar) for energy. In one study, keto was found to be a more efficient weight-loss strategy than the low-glycemic diet (where you avoid foods that cause a blood sugar spike). Those who followed keto lost an incredible 24 pounds more than those in the low-glycemic group (7). Ketosis has been shown to help improve cholesterol, triglycerides, and blood sugar levels. In a 2004 study, a group of obese individuals lost a considerable amount of weight, decreased HDL (bad) cholesterol, increased LDL (good) cholesterol, decreased blood glucose levels, and decreased triglyceride levels—all in a matter of 24 weeks (8). Ketosis first gained widespread attention for its positive effects on patients diagnosed with epilepsy, greatly reducing the patients’ number of seizures (9). While the brain typically uses glucose, studies show that ketone bodies are an effective energy source, helping to improve memory and prevent Alzheimer’s (10). In fact, higher ketone levels can help improve your memory in as little as six weeks (11). Are Ketones Safe for Everyone? Again, everyone produces ketones safely and naturally. Using ketones for energy (ketosis) has been connected to a wide variety of health benefits—both mental and physical—for the vast majority of people. But for a small percentage of the population, those with Type 1 diabetes, a surplus of ketones in the blood can pose a health risk. Diabetic ketoacidosis (DKA) is a rare, but serious condition caused by the overproduction of ketone bodies. Since it’s caused by insulin resistance, DKA is most common in those with Type 1 diabetes, although it can occur in those with Type 2 diabetes as well (5). BHB and acetoacetate are acidic in large amounts, and the surplus can cause dehydration, confusion, nausea, vomiting, and stomach pain. Ketone Supplements (Exogenous Ketones): Are They For Real? The growing popularity of ketogenic diets has caused an interest in keto supplements. Exogenous ketones are man-made ketones which are marketed to help individuals get into ketosis faster. But is there any science behind their claims? The NIH has conducted several studies on exogenous ketones, and find they are an effective way to get into ketosis (12)(13)(14). But there’s a catch: Some exogenous ketones are proven to help people enter ketosis; others simply contain ketones on the label. How do you know which is which? Effective, exogenous ketones will contain BHB—the most common ketone body found in your blood. Ketone supplements which make false claims, namely raspberry ketones, do not contain ketone bodies. Raspberry ketones are marketed to raise adiponectin levels (a hormone that helps burn fat), but studies have yet to prove they actually raise ketone levels in the blood (15). Since ketone bodies are found in the blood and ketosis is a metabolic process, you can test your ketone levels. People test their ketone levels to see if a low carb diet, ketone supplements, or other methods are successful in helping them get into ketosis (or, if they are Type 1 diabetic, to see if ketone bodies have reached dangerous levels). There are three ways to test your ketone levels: urine testing, blood testing, and breath testing. Urine test strips are known to be ineffective as they test excess ketones excreted from the body. Breath tests, using a breath meter, are slightly more effective, but test your acetone levels—the least commonly used acetone in your body. For the most accurate test, use a blood test. Blood tests involve pricking your finger with a blood meter, measuring the amount of BHB in the blood. Everyone has small amounts of ketones in their blood at all times. There are three types of ketone bodies, BHB, acetoacetate, and acetone, with BHB being the most prevalent. When the body is starved of carbohydrates, it will switch from burning glucose to ketones for energy. Burning ketones for fuel (ketosis) has been shown to help individuals lose weight, improve blood sugar and cholesterol levels, and improve brain function. However, for a small group of individuals diagnosed with Type 1 diabetes, high ketone levels can have negative side effects. 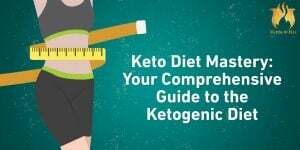 To raise the levels of ketones your body naturally produces, you can follow an extremely high-fat, low carbohydrate diet (the keto diet), experiment with intermittent fasting, or try supplementing with exogenous ketones. Check out this guide to fasting or the Comprehensive Guide to Keto to get started.